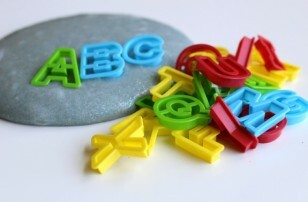 If you love these alphabet activities for preschoolers you will love our lesson plans for preschool. Check out our whole library here! 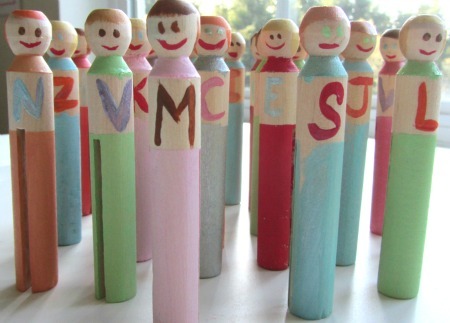 We love the alphabet and we love creating and playing with letters. 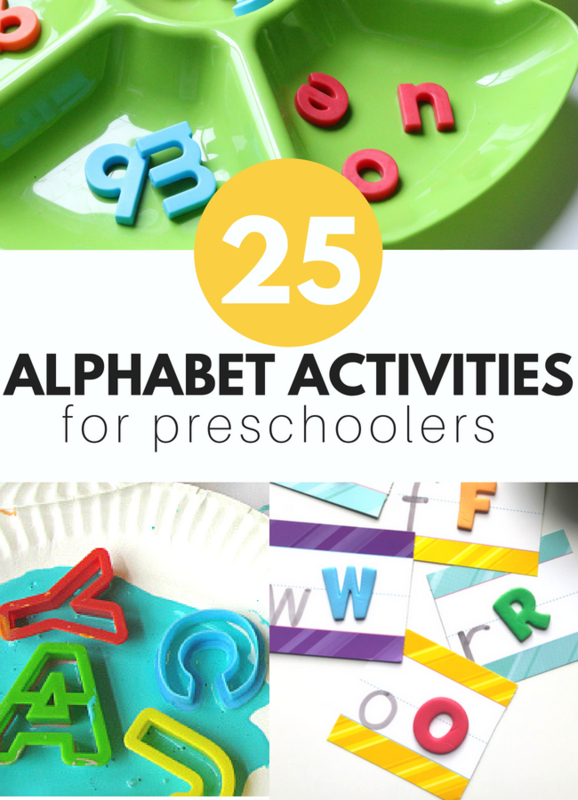 These 25 alphabet activities for preschoolers teach all different aspects of the alphabet including letter recognition, letter sounds, letter shapes and just plain fun! 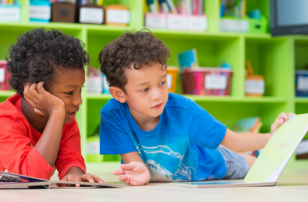 These activities are dynamic and are meant not just to teach the alphabet but to make learning letters a memorable and engaging experience. Great ideas! Love the clothespins! 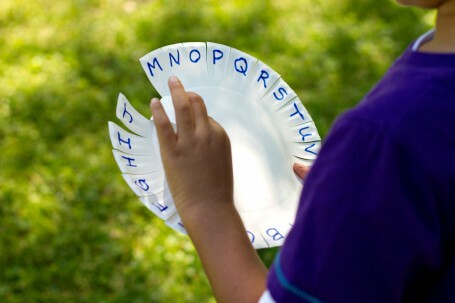 Always looking for creative ways to do alphabet. Thanks for sharing. Your timing couldn’t have been more perfect! We are just starting to work with letters. Thanks so much for putting all of these in one place. 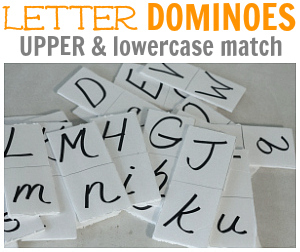 I especially love the glue tracing alphabet and the dominoes. I sure hope you get a lot of new subscriptions from this post. We pinned it to our Pinterest site and got about 378 repins in less than 24 hours. 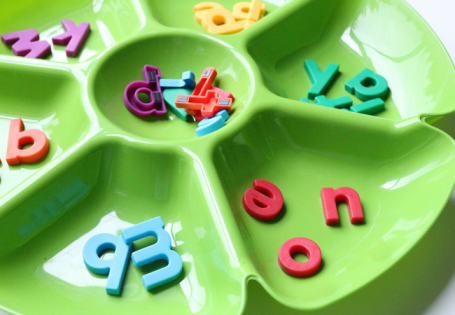 Where do you start w/ teaching the alphabet? how many letters do you focus on in a week? 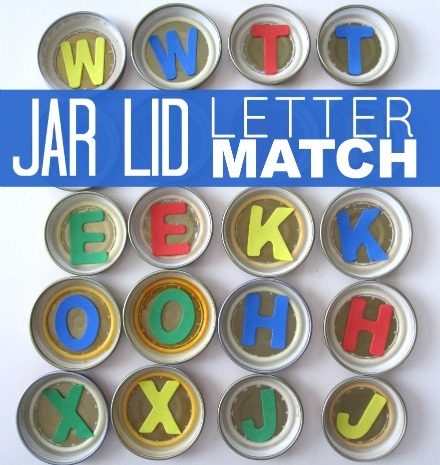 Do you start w/ the letters in their name? How old do you feel is appropriate to start? I personally like to start with alphabet books but then move into easy simple activities – we have a series called Alphabet For Starters that is a perfect place to start. https://www.notimeforflashcards.com/category/alphabet-for-starters I would start pointing out the words in their names and I wouldn’t single out letters very much. Even when I did Letter of The Week we’d do one main craft that week of one letter but still have a whole alphabet approach. Letters work together so being taught together simply makes sense. I don’t think there is an appropriate age to start, instead I think that watching the child and seeing if they start showing interest in letters and then jumping on board. The tricky thing is you need to expose them ( not force- just expose) to letters from an early age so they have the chance to get interested. I hope that helps! Thanks for sharing all these great ideas!!! Love it! 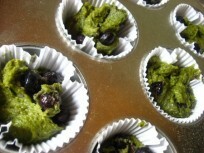 I stay home with my toddler and am always looking for new fun activities! 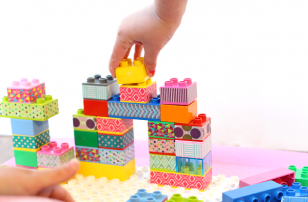 Lovely and practical ideas! thanks for sharing such simple ways to make learning fun and meaningful. So helpful for my autistic son! Love the sensory letters! You have so many wonderful alphabet posts here. I hope you don’t mind that I linked to this post and some of your other ABC posts in my Top 10 Ways to Remember the ABCs post today. This is great. I’m off to pin. great new site for kids. 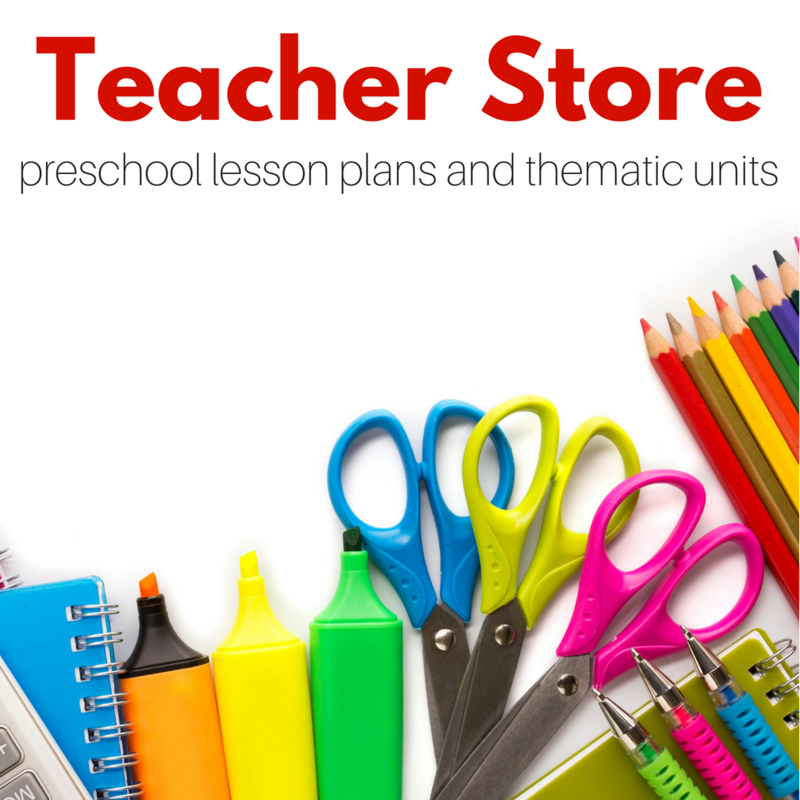 Alphabet, Numbers, coloring pages and more. We are updating the site continuously. Wow… These are all great ideas and great resources. I’d also like to add the following to your list: http://www.letterheadsplayground.com Go to their download page to download free PDF coloring pages. I really like the unique characters. It adds personality to the learning process.